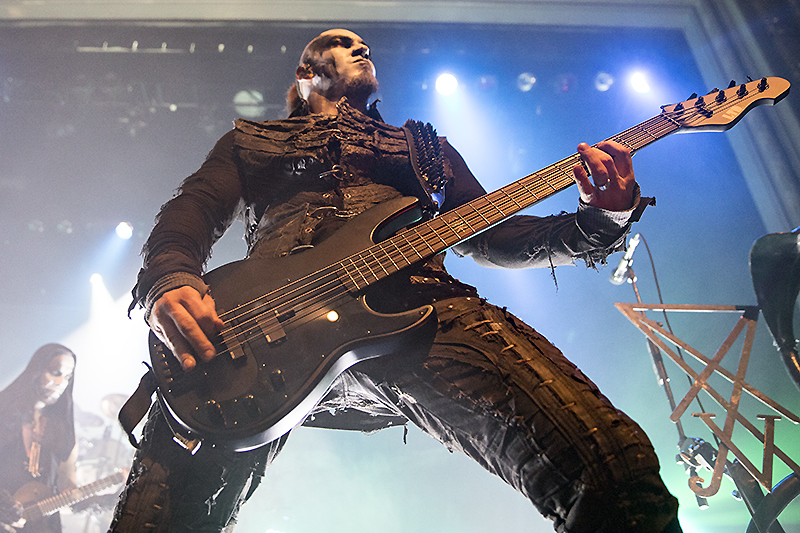 Polish blackened death metal titans Behemoth brought their Ecclesia Diabolica America 2018 e.v Tour to the Regency Ballroom in San Francisco recently, and dished out some of their heaviest music yet, much to the delight of their fans who turned the venue into a beyond sold out sweatbox. Taking the stage in masks to the instrumental “Solve” off of their just released I Loved You at Your Darkest record, the band set the stage for what was to follow. Opening with “Wolves ov Siberia,” (also off their latest release), Behemoth wasted no time charging the front of the stage. Frontman Nergal, bassist Orion, and guitarist Seth all traded places on the risers in front of the stage, engaging with their fans in the first few rows. 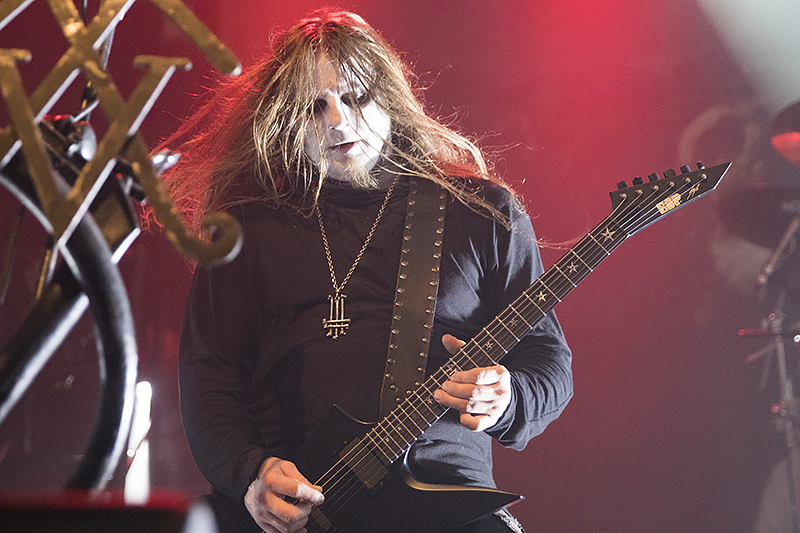 Over the next 90 minutes, the band put on nothing short of a death metal clinic, playing a healthy chunk of songs from the new record, including “God = Dog,” “Bartzebel,” and “Ecclesia Diabolica Catholica.” The floor of the venue was one giant mosh-pit, and by the time Behemoth wrapped up their set with “We Are the Next 1000 Years,” it was clear that they are primed and ready to take it to the next level. 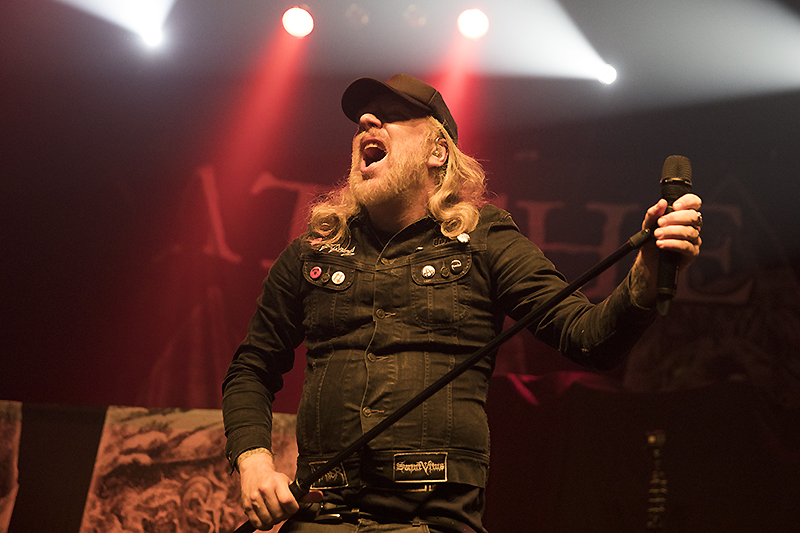 Support on this tour came from Swedish melodic death-metallers At The Gates, who put on their own blistering set, highlighted by “To Drink From the Nigh Itself,” and “Suicide Nation,” and Wolves in the Throne Room, who brought the fans in early with their sparse black metal. Find out more about Behemoth on their website. Check out At The Gates here. 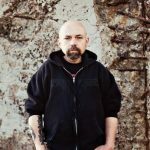 All the dirt on Wolves in the Throne Room can be found here.